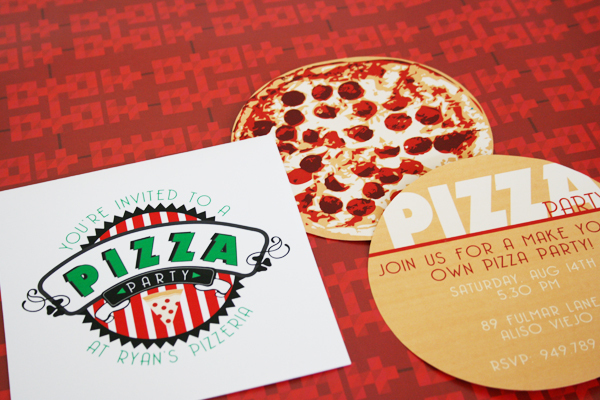 Having a pizza party… Deliver your guest a pizza invitation in a mini pizza box! 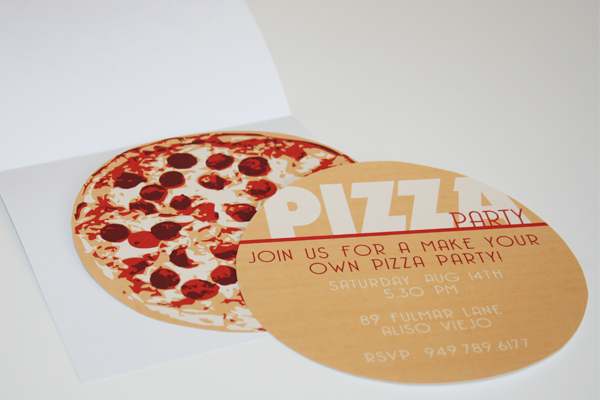 the inside your guest will find a 4.75″ pepperoni pizza with the details of your party on the back. So what are you waiting for! 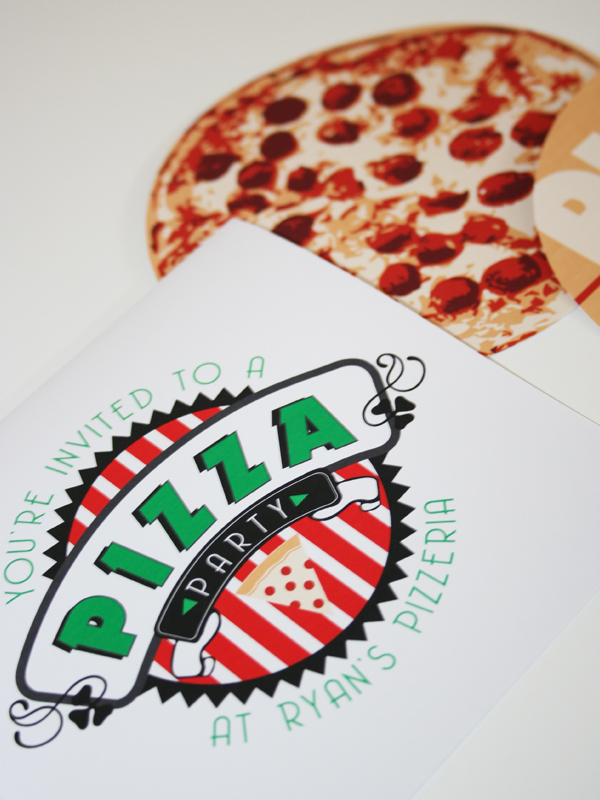 Plan a pizza party this friday night or for your kids birthday. 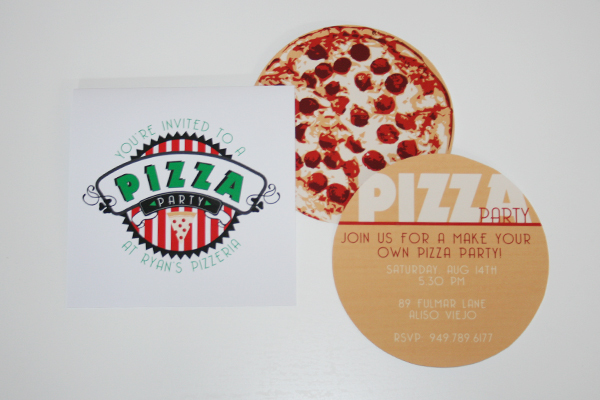 Pizza Invitation available in our shop. Full collection coming soon! Wow, so clever and creative! 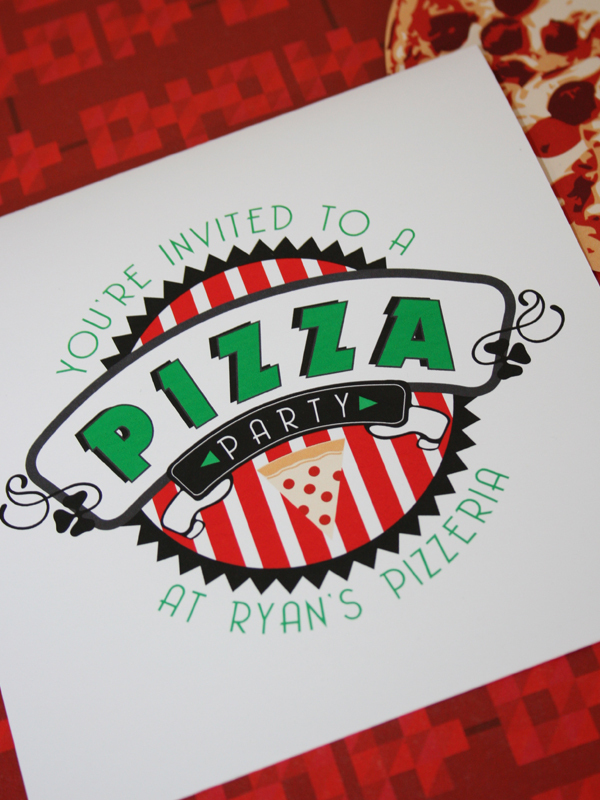 Should be a big hit with party planners! Would you consider doing another listing on Etsy for both the design AND printing for these? I'm not sure I could get it all lined up just right….. plus, my printer's not very good! Let me know. Thanks!